Welcome to the four hundred and eighty-sixth of my blog interviews with novelists, poets, short story authors, biographers, agents, publishers and more. Today’s is with non-fiction author Pauline Hawkins. A list of interviewees (blogged and scheduled) can be found here. If you like what you read, please do go and investigate further. Morgen: Hello, Pauline. Please tell us something about yourself, where you’re based, and how you came to be a writer. Pauline: I am single and live with my 20-year-old son in Texas. I am an animal lover with 2 dogs, 1 cat and a horse. While I live less than 10 miles from South Fork Ranch, I’m probably the only person that didn’t like the original Dallas series and has not seen the new one. I read widely but some of my interests include: books on plant-based eating, new thought, Lamsa’s translation of the Holy Bible and Anne Rice just to name a few. I started writing in high school, just the regular high school assignments but I found that I liked it and I was good at it. For the next several years I only wrote for pleasure, things like journals and free-writing and the computer. 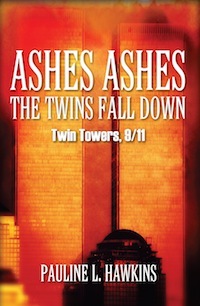 It wasn’t until 2003 that I decided to write my debut book, Ashes Ashes The Twins Fall Down. Morgen: We’ve only had one episode of the new Dallas so far and although I didn’t see much of it, I wasn’t very impressed. You write non-fiction, how do you decide what to write about? Pauline: I’m not sure that I chose it I think it chose me. I’ve always loved romantic novels and if you’d have asked me I would have told you that those would be the kinds of books that I would write but people say, “Write what you know”. So instead of writing romantic novels I fell into writing non-fiction memoirs. Life provides us with all kinds of stories to share with one another and I think that we can relate to each other’s stories. Morgen: It does but perhaps you could do both. What have you had published to-date? Pauline: My debut book is titled ‘Ashes Ashes The Twins Fall Down’. Currently this is my only published book to-date. Morgen: So far. You’re self-published, what lead to you going your own way? Pauline: I chose to actually self-publish as a collaboration between Anole Publishing and Outskirts Press. I believe this was the right choice for me and my book. The fact that the entire investment is my own truly makes this book mine from start to finish. Also, even with utilizing a traditional house unless you’re a Stephen King or James Patterson the marketing is still left up to you as the author. Morgen: It is. I’ve only had one author (from memory) say that her (mainstream) publisher does all the marketing, and she’s still very active on Facebook and Twitter. Are your books available as eBooks? Do you read eBooks or is it paper all the way? Pauline: My book is available in both paperback and eBook formats. My book can be found on Amazon.com and Barnes and Noble.com in paperbook and on Kindle, Nook and iBooks in eBook format. Most of the books I read these days or eBooks. I’m not sure if it’s for convenience or lack of storage space for actually paperbacks. Morgen: Both in my case. Did you have any say in the titles / covers of your books? How important do you think they are? Pauline: Since I self-published the title and book cover was all my choice. I think it’s important that a writer have the deciding voice in the title of their own book and the cover. After all, the work is theirs and they know what best represents what’s inside the cover. Morgen: It is. I’ve self-published too but I can only imagine how frustrating it must be to be overridden, although I like to think that if that happened to me that the publisher would know their market better than I did. What are you working on at the moment / next? Pauline: My next book is about marrying my high school sweetheart after 28 years and having it all blow up in my face in less than a week. It will chronicle our relationship in high school and what happened to be between high school and our reconnecting 28 years later. I’m leaning toward the title of, Always & Forever. Morgen: They do say what knocks us down makes us stronger… and we get to write about it (and in fiction we get our revenge!). Do you manage to write every day, or ever suffer from writer’s block? Pauline: Absolutely not. For me I have to write when the spirit moves. If I sit down and tell myself that I have to write a complete chapter today I’ll find a million things I need to do that keep me from writing the chapter. But if I sit down to write when the creative juices are flowing and just allow them to flow naturally then I can complete a chapter without even trying. I do get writer’s block and when that happens I try to do just free-writing, whatever comes to mind I put down, sometimes this helps to remove the block. Morgen: It’s a great exercise. Do you do a lot of editing or do you find that as time goes on your writing is more fully-formed? Pauline: I do a lot of editing. I’ve even found myself trashing an entire chapter and writing a new version after I’ve read and reread it. I think we’re our own worst critics and we spend too much time trying to make everything perfect. Morgen: We are. We can always find fault, even just replacing individual words. It has to come to a point where you let go. Do you have to do much research? Pauline: It really depends upon the topic. For my debut book, Ashes Ashes The Twins Fall Down, I did a lot of research for the parts that are informational. 9/11 was such an emotional time and has had such an impact on not only the United States but on the world that I wanted to be sure my facts were right on. Morgen: It’s still a topical subject, I saw a programme on it (some of the survivors from the impact zones) only last week. Do you have pieces of work that you think will never see light of day? Pauline: Yes, they’re mainly commentaries and not books but they will probably stay in a folder on my computer and never see the light of day. Morgen: Do you pitch for submissions and / or are you commissioned to write? Pauline: I have not been commissioned to write but I am just starting out as an author so it’s possible that with time this might change. Morgen: Let’s hope so. Have you had any rejections? If so, how do you deal with them? Pauline: Since I self-published I’ve not had the experience of receiving rejections. To be honest I’m really not sure how I’d actually deal with a rejection but if you want something you need to not take ‘no’ for an answer. Morgen: I like to think it’s just the right thing for the wrong person. Do you enter any non-fiction competitions? Pauline: I have not entered any non-fiction competitions at this point but I am considering entering Reader Favorite’s International Book Award Contest. Pauline: I don’t have an agent but I’m sure they serve a purpose in trying to obtain interviews, book signings and such. Morgen: I think a lot of the emphasis is on the author anyway these days and you’re here without an agent. 🙂 How much of the marketing do you do for your published works or indeed for yourself as a ‘brand’? Pauline: I’ve done quite a bit on Facebook and Twitter. I have also set up two virtual book tours for September 2012. If you ask anyone in marketing branding yourself is very important, I’m still learning how to do that. Pauline: Least favourite aspect is the waiting for sales. I know it takes time and it’s not a sprint but a marathon but the waiting can cause you to doubt yourself. As far as anything surprising me, the amount of ways to market oneself has been a huge surprise. Sometimes I don’t know if I’m coming or going. Morgen: My sales have been a trickle (still are) but I rarely tout myself, although I’m doing final edits to two novels so I am now looking at guesting on other blogs. What advice would you give aspiring writers? Pauline: Don’t give up. If writing is your dream, do it! Don’t let anyone tell you that you can’t. Once you start doubting yourself and start believing the people around you who tell you that you can’t do it, that’s when you’ll fail. Morgen: They say a successful writer is one who didn’t give up and if you have the passion you won’t regardless of what’s thrown at you. If you had to choose a single day from your past to re-live over and over, what day would it be and why? Pauline: The day I married my high school sweetheart, June 4, 2010, it was the happiest day of my life! Pauline: “This isn’t my first time at the rodeo.” It’s probably a Texas thing. Morgen: I love it. If your book was made into films, who would you have as the leading actor/s? Pauline: If I had a choice of who would play me I’d have to say Katee Sackhoff. Morgen: I’d not heard of Katee so Wikipediad her but (sorry, Katee) am none the wiser. 😦 Do you plot or just get an idea and run with it? Pauline: Actually a little of both. I decide what a chapter will be about and then I just run with it. Morgen: Most authors I’ve spoken to do, as I do. What point of view do you find most to your liking: first person or third person? Have you ever tried second person? Pauline: I like writing in first person, I think it makes my stories more believable, emotional and authentic. I have never tried writing in second person. Morgen: Some poets use it in their poetry, I love it in prose but maybe not so suitable in non-fiction (perhaps non-fiction authors reading this can tell us). What do you do when you’re not writing? Pauline: I love horses. I own an American Paint Horse named Tana and I love playing with her, grooming her and just hanging out with her. Doing all of this is my therapy. I also enjoy photography and counted cross stitch and being with the man I love. Morgen: Sounds like you have a great life. Where can we find out about you and your writing? Pauline: I have my own website at: http://paulinelhawkins.com, I am on Facebook at: http://www.facebook.com/PaulineLHawkinsAuthor and Twitter at: http://twitter.com/PaulineHawkins3. That question has become part of the fabric of our lives as Americans. On 9/11 when the first plane hit, I was driving to work. On that bright sunny day, none of us had any idea what was in store and how it would change our lives. New York City firefighters, police, and other first responders dropped what they were doing, kissed their wives and children goodbye, and headed for Ground Zero. They did this without question and without thought for their safety, not knowing that many of them would never see their families again. These men and women had taken a pledge to protect their city and their fellow man, and for them this was more than just a job; it was who they were. They gave of themselves, and in some cases gave their lives, selflessly and without question. There are still those first responders today who ask themselves, “Why them and not me?” However, as we all know, there are many questions in life that do not have an answer. There is no rhyme or reason as to the events of 9/11, the deaths of those who died in the actual attacks and the deaths of those providing search and rescue. What we do know is that the heroes lost that day would have done nothing different. Had they known that their efforts would have cost them their lives, they still would have suited up and shown up, if it meant saving a single life. That was the cause to which they had devoted themselves. Pauline L. Hawkins was born in Munson Army Hospital at Fort Leavenworth, Kansas on Easter Sunday. As her mother says, Pauline chose to enter the world in the middle of a tornado, and she has been going strong ever since. Pauline and her two adult sons currently reside in Texas, where she has been in the health insurance industry for almost thirty years, working her way up from the mailroom to corporate management and claims payment. 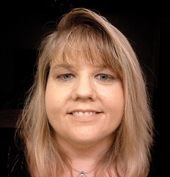 In 2002, Pauline received her Instructional Design certification, which allows her to create instructor-led and learner-paced training curriculums, along with computer-based learning activities and website creation. She has enjoyed the opportunity to exercise her creativity. Pauline has enjoyed writing since she was in high school, and has decided to start sharing her stories. This is her debut book.